Online retailers are always looking for ways to exceed their customers’ expectations. With most online shopping now happening on mobile devices, it’s important for merchants to deliver fast, engaging experiences optimized for mobile. Because AMP guarantees consistently fast webpages, it’s becoming an increasingly popular framework for eCommerce. Shopify Apps add functionality or features to Shopify stores, like plugins or extensions do to other platforms. Apps built to support AMP provide an easy way to launch a lightning fast, mobile optimized AMP version of a store that users love. The best AMP Apps for Shopify are able to easily create many page types, including product, collection, home, and blog pages. They’re free or low cost, and come with reliable support. Some integrate with third party apps, meaning AMP versions of stores will not lose critical functionality such as product reviews. These Apps generate pages can be cached and served nearly instantly when accessed through Google Search. Out-of-the-box, top Shopify AMP apps provide beautiful eCommerce templates for product, category, home, blog pages, and more, which merchants can further customize. Above is a GIF of a user seamlessly customizing their AMP pages using the AMP App by AMPify Me. Testing the AMP versions of these stores using PageSpeed Insights show industry-leading performance scores over 90, with pages being fully interactive in just seconds. Data show that users are more likely to bounce from a page that takes longer to load, and users view more pages on fast loading websites, leading to more engagement and higher conversion rates. For the app creators, it’s all about using technology to improve retail experiences online. “We’re committed to building technology that makes it easy for retailers to succeed online,” said Jana Filipovic from AMPify Me, a leading AMP App. 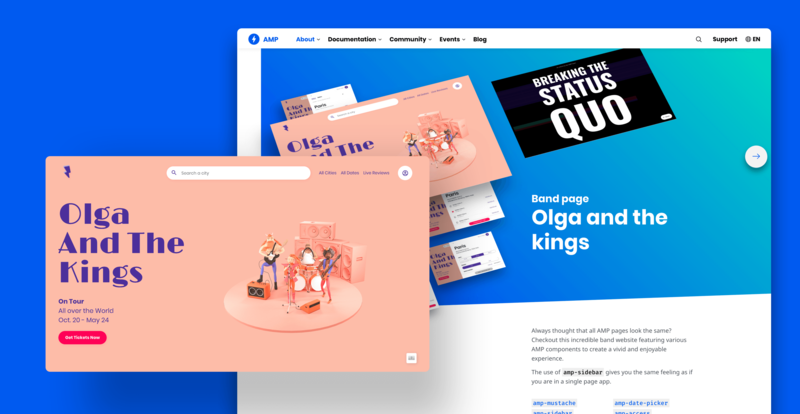 “Our customers, and even users of our free products, are able to drive increased engagement and conversion rates using AMP.” Their focus on great product and user experiences have enabled AMP by AMPifyMe to grow very quickly. Over 13,000 stores have installed their App since launch in May 2018! Top Shopify AMP apps have a WYSIWYG editor that enables merchants to customize the look and feel of AMP pages to deliver feature rich, lightning fast user experiences. Above is the editor from Shop Sheriff. Price & Support – How much will the app cost at the service level that’s appropriate for you, and will you get quality support for that investment? Ease of Use – How much work is required to set up the AMP version of your shop? How intuitive is the app’s user interface? Quality of AMP pages – How good is the user experience on the AMP version of your shop? Integration with Google tools – How easy will it be to ensure the AMP versions of your pages are cached by Google and any issues are surfaced? Third party integrations – Which of your other apps can be integrated out-of-the-box? Which can be integrated with a little more work? Apps provide an easy path for merchants to adopt AMP on Shopify, creating a lightning fast, mobile optimized version of their pages that can help meet users’ rising expectations. Check out our review on amp.dev to see which AMP App might be best for your Shopify store. The AMP Project’s mission is to enable more user-first experiences on the web, including web-based technology like email. For most of us, not much has changed in email functionality since the first time we were introduced to email. Because AMP is inherently fast and secure, we brought AMP technology to email in order to give users an interactive, real-time experience that also keeps inboxes safe. The AMP for email spec has engagement from major email providers around the world including Gmail, Yahoo Mail, Outlook.com, and Mail.Ru. As each of these providers launches support, senders will scale the reach of their AMP emails to users. We aim to provide the highest quality email experiences for our consumers and we are excited to be one of the first providers to participate in the AMP for email spec. This allows us to enable fast, responsive, and high-performing experiences right within email. If you develop an email provider and would like to consider adding AMP for email support, you can find more information here. Email senders can begin creating AMP emails by using the playground which allows you to edit markup and see real-time changes to your email. For more information about the supported features and syntax, head over to amp.dev. It’s important to note that some providers may have sender whitelists that limit who is eligible to send AMP emails, so be sure to register with providers if that’s the case. Twilio SendGrid, an email platform for transactional and marketing emails that is used by over 80,000 companies. AMP emails are designed to be compatible in the current email ecosystem with the introduction of a new MIME part. This design allows emails to fall back to HTML if a provider or email client doesn’t support AMP emails yet—learn more about the spec and recommended guidelines. 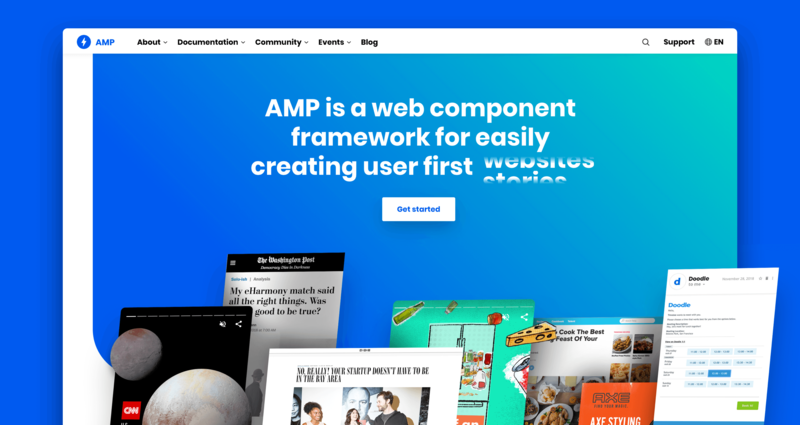 To make AMP the best user-friendly email experience, we need your help to contribute to its direction. This is why we created the AMP for email working group under AMP’s governance model, a way to channel feedback from senders and providers to support ongoing spec improvements. If you are an email provider, sender or would simply like to get involved in the AMP for Email working group, you can file discussion issues on the ampproject/wg-amp4email repository or come chat with us at #wg-amp4email on Slack. With the email spec being open source, strong multi-vendor support, a gradual migration strategy, and an open working group to have everyone’s voice heard, we’re looking forward to building a better email experience for everyone.